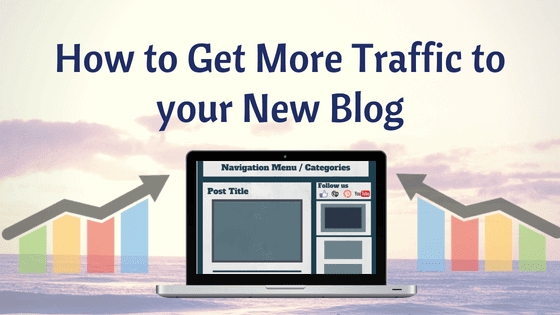 Getting traffic on your new blog is not an easy task. Especially, when you are new to blogging and have no idea, how to increase visitors to your blog. Long ago, I have been through the same situation. But now have the full list of ways that can help you get more visitors on your blog. Just follow my lead and soon enough you will notice a huge difference. Here is the list of 11 legit ways to boost your new blog traffic. Google search engine is the major source of getting traffic on your blog. In order to get the visitor from Google, you need to sign up Google Webmaster tools (Search Console) and submit a sitemap of your blog. In this way, Google search bots will detect your site on their servers and start crawling and indexing all of your blog posts one by one and soon you will start appearing on Google search results. Bing and Yahoo search engine is the second largest source of getting traffic that comes after Google. Both of them are separated search engines, but their webmaster tool is one. That means if you sign up on Bing Webmaster tools, then your blog will also gain traffic from Yahoo search engine and that’s how it works. Here is the complete guide for getting started with Bing and Yahoo search engine. There are other search engines out on the Internet, not popular as major search engines but still, they are good sources for getting free traffic. Some of those search engines are, Baidu, Yandex, DuckDuckGo, etc. You can simply sign on their webmaster tools, submit a sitemap and start getting traffic from all over the globe. Google image search is another biggest source to get traffic o your blog via image search results. In order to gain traffic from Image search, you need to insert (ALT) alternative title and text properly in all of your blog post images. If you are using WordPress, you can install plugins to automatically detect and add alt title and text in all of your WP images. Social media sites are one of the best platforms to promote your blog posts and gain a huge amount of referral traffic. Social networking is totally free to use, you can also reach more targeted visitors on Social Media using paid promotion or paid ads. Although, there are hundreds of social networking sites are out there and the best ones that every blogger must use are Facebook, Twitter, Google+, LinkedIn, Pinterest, Reddit, and Instagram. These sites are the major ones and even some of them allow to create your brand pages, groups, communities and company pages. If you are expert at producing videos or if you are already a video uploader at YouTube, then it is another one of the best sources to get traffic on your site via videos. For example, you can insert your blog post links or URL’s in the description area of your uploaded videos so that your video viewers can also read through your blog posts for a better understanding of the concept. You can also embed your uploaded YouTube videos inside your blog posts and get some extra views on your videos. Backlinks are one of the best offsite SEO techniques to rank higher on search engine result pages and gain more traffic. Generally, backlinks are those links which are linked back to your site. There are only two types of backlinks are available, the first one is do-follow and the other one is no-follow. The do-follow link passes link juice that helps a site to rank higher on search engine result pages. SEO errors can outcome less ranking in search engine result pages, means no traffic. If your blog’s SEO is not good enough then your blog is never going to appear on the top pages of search results. So, fixing the SEO related issue and error is very essential for every blog and websites. In order to monitor all of your SEO errors, you can log in, to Google Webmaster tools, analyze your site performance and fix all the search engine optimization error on your blog. Quora is fastest and probably the best way to generate free backlinks and increase traffic on your site. Participating in the questions and answers on Quora and other similar platforms may provide you more traffic, free backlinks, online reputation and increases the trust of your blog. All you need to do is sign up on Quora, complete your profile and add your site. Now, answer other members questions and that’s it. For example, lets say a member on Quora posted a question about blogging tips, now being a pro blogger I know the answer already so I will instantly log in to my Quora account, and answering the question I will link out one of my relevant blog post for easy understanding and that is how I can generate backlinks on Quora for my site. Submitting your site on popular blogging directories and communities is the easiest way to increase traffic on your blog. All you need to do is find some high domain authority and page authority sites, sign up and submit your site. Did you know? You can easily increase referral traffic, backlinks, and trust of your site by writing guest posts on other similar niche blogs. But before you get into guest blogging, you need to make a proper research on domain authority, page authority and Alexa rank of the website and always target for the highest ones. In simple, if your DA is 8 and PA is 11, then you must select highest authority sites than yours. In order to find guest posting sites, you can take help from social media sites like Facebook, to find best guest posting websites, or you can simply search on Google like, “your niche guest post” or “your niche popular guest blogging websites”. Once you find those sites, follow their guidelines to submit your content and make sure that you get a free do-follow backlink per content you publish for them. These are the 11 best possible ways to generate more traffic on your site. Just perform the above-mentioned methods step by step and soon you will notice huge changes in your Google analytics report.